We have private cars for tours in the Serra Gaúcha. With comfortable options, all tours can be done in an exclusive way, with chauffeurs own of the Hotel, that will make the best indications of shopping, of parks and of all the magnificent tourist points of the region. Gramado is a place where simplicity and refinement harmonize and where the climate, colors, charms, flavors and programs of each season, combined with excellent shopping options, make tours in Gramado a source of inspiration to create and recreate life . Inspirado pelas principais cidades turísticas do mundo, agora Gramado e Canela possuem um moderno serviço de ônibus turístico panorâmico com dois andares. O BusTour oferece um sistema de embarque e desembarque livres, onde o passageiro tem a liberdade de montar o roteiro de acordo com seu tempo e interesse, podendo subir e descer quantas vezes desejar, para visitar os parques e atrativos. Descubra a herança dos imigrantes italianos passeando pela incrível Região da Uva e do Vinho. Será possível conhecer as história dos colonizadores italianos, seus hábitos, costumes e a arquitetura. No Trem Maria Fumaça, percorreremos o caminho entre Bento Gonçalves, Garibaldi e Carlos Barbosa. Visitaremos uma vinícola de vinhos coloniais em Caxias do Sul (com degustação) e o Parque Epopeia Italiana. Visit a Prawer chocolate factory. Pioneer non-artisanal chocolate, and partner of Saint Andrews, a Prawer elaborates the best chocolates of Gramado and Brazil. A tour that can not be left out of the script. Snow all year round: this is what promises the closed snow park of the Americas, located in Gramado. More than 14,000 m2 of ice cream form a fictional alpine village with about 30 activities, such as ice skating, skiing, snowboarding, tobogganing, motoneve, esquibunda and mechatronics. The location also offers amenities such as restaurants and shops. The region of Gramado and Canela offers several options of walks in parks and ecological tours. Dedicated to environmental activities, Ecoparque Sperry has a privileged location in the Quilombo Valley, near Saint Andrews, in areas of Atlantic Forest. More than a thousand pieces form the collection of the Gaucho Park, which rescues the history of the Gaucho people. They are represented by the work, customs and business cycles of Rio Grande do Sul. The restaurant serves lunch and the Gaúcho Café, with items such as orange blossom honey. O sobrevoo de helicóptero por Bento Gonçalves, com pouso na vinícola Casa Valduga, leva os apreciadores de vinhos para um patamar de excelência. A visitação exclusiva é conduzida pelo proprietário, que apresenta a Casa Valduga, degustação personalizada da linha premium de vinhos e finaliza com almoço típico italiano no Restaurante Maria Valduga. Na sequência, decolamos rumo a vinícola Cave Geisse, reconhecida mundialmente por produzir o melhor espumante brasileiro. Lá, pousamos em meio aos parreirais, com visitação em um carro 4x4 que trilha em meio aos parreirais, com paradas estratégicas para apreciação dos espumantes, finalizando com o melhor espumante, harmonizado com empanadas chilenas. World in miniature, everything with much affection and love, where the visitors enchant each corner of this paradise. A unique ride in Gramado. Beautiful theme park with miniature makeup, which works by steam. A differentiated park, which brings to the childhood and emotion all the people as the riches of the details of the miniatures. It is an art with passion, elaborated by a family that portrays a history in a very detailed and real way. Antique car museum displays original copies from the 1920s to the 1960s, such as Cadillacs, the only 1956 Ford Victoria convertible from Brazil, 1951 Buick and Pontiac, and a 1929 Ford Model A, among many others. An exhibitor of 15 Harley-Davidson motorcycles loves motorcycles with models like 1964, all restored. More than 30 cars are exhibited and / or available for testing in museums in Gramado, a local place exclusively for passion for automobiles. Among the models available for test drive are Lamborghini Gallardo, Lamborghini Superleggera, Ferrari F430 Spider, Ferrari F360 Modena, Porsche Cayman and Jaguar Daimler S V8. Icons of cinema and pop culture are like stars of the Wax Museum in Gramado, living harmoniously with historical figures like Alberto Santos Dumont and Abraham Lincoln. There are more than 60 stars in 20 thematic scenarios, with headquarters like Neymar, Gisele Bündchen, Beyoncé and Sir Paul McCartney. Pioneer in Rio Grande do Sul and national reference in the creation and artistic manufacture of crystals, with a technology Di Murano, and with this technique the Crystal is molded by means of blowing and manual movements, creating unique, exclusive and differentiated pieces. 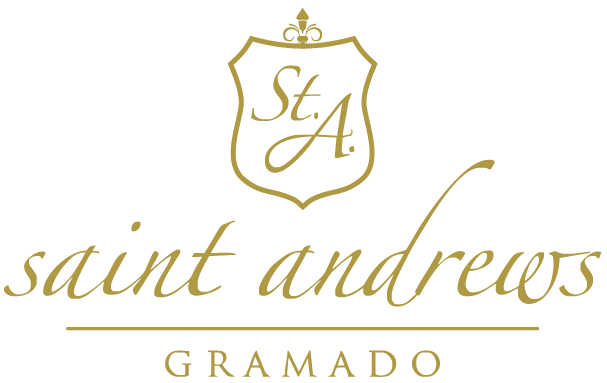 It is a great tour option that Saint Andrews offers, with an exclusive and differentiated service. One of Gramado's most charming tourist attractions, Rua Coberta includes chocolate and clothing stores, as well as restaurants and cafes. The Madre Verônica Street, as well as the center of Gramado, between Borges de Medeiros Avenue and Garibaldi Street and close to headquarters as the Palace of Festivals and Major Nicoletti Square. A Casa Seganfredo produz vinhos de excelente qualidade, a altura de vinhos internacionalmente conhecidos, com a finalidade de atender ás exigências do turismo de luxo desenvolvido em Gramado e região.